In 1965, the Eighteen-Nation Disarmament Committee, the predecessor of the Conference on Disarmament, began in Geneva consideration of a draft nuclear nonproliferation treaty. The Committee completed its negotiations in 1968, and on July 1, 1968, the Nuclear Non-Proliferation Treaty (NPT) was opened for signature. The NPT entered into force on March 5, 1970, with 43 Parties, including three of the five nuclear-weapon states: the former Soviet Union, the United Kingdom, and the United States. 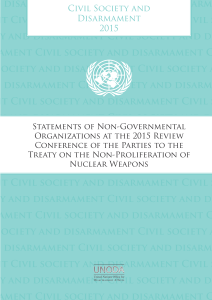 In 1995, the Review and Extension Conference of the NPT, held under the presidency of Ambassador Jayantha Dhanapala of Sri Lanka, decided without a vote to extend the Treaty indefinitely. The NPT defines a nuclear-weapon state as a state that manufactured and exploded a nuclear weapon or other nuclear device prior to 1 January, 1967. These states are China, France, Russia, the United Kingdom, and the United States. All other states are non-nuclear-weapon states under the Treaty. The NPT has become and remains an essential pillar of international peace and security, and the heart of the nuclear disarmament and non-proliferation regime. Its unique status is based on its near universal membership of 191 States, legally-binding obligations on disarmament, verifiable non-proliferation safeguards regime, and commitment to the peaceful use of nuclear energy. 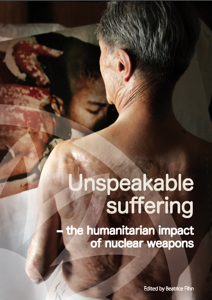 The NPT has successfully limited the number of States that possess nuclear weapons to nine. 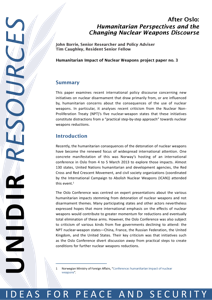 Its safeguards regime provides assurance of the exclusively peaceful nature of civil nuclear programmes. 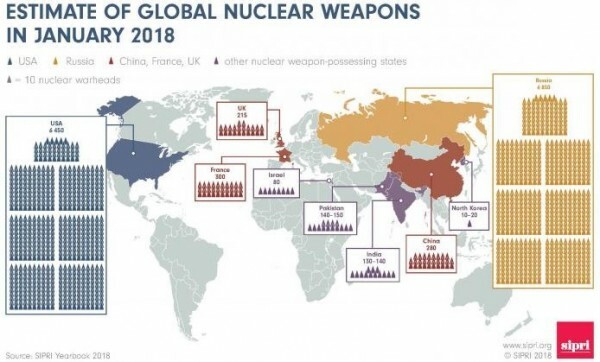 Nevertheless, according to data from SIPRI, about 14,500 nuclear weapons remain stockpiled around the world. Hundreds are ready to be launched within minutes. Therefore, all States have to redouble their efforts to ensure this weapon is never used and work together to bring new urgency to achieve the universal goal of a nuclear-weapon-free world. 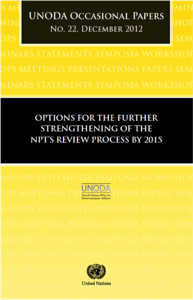 States in Asia and the Pacific have been at the forefront of global efforts to implement the NPT. Three of the world’s five nuclear-weapon free zones are found in the region supplemented by Mongolia – State with nuclear-weapon-free status. These are the Treaty of Rarotonga in South Pacific, the Treaty of Bangkok in Southeast Asia, and the Treaty on a Nuclear-Weapon-Free-Zone in Central Asia (CANWFZ). 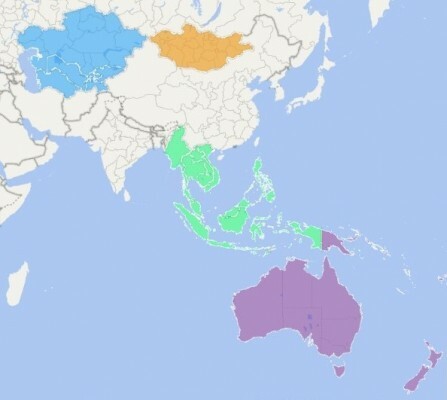 The Regional Centre has contributed to the international efforts aimed at the total eliminating nuclear weapons through organizing workshop and training programmes for Asia-Pacific countries and, jointly with the Government of Japan and the Republic of Korea, annual conferences on disarmament and proliferation issues.